Supriya is an excellent Change Leader who knows how to translate concepts into actions that drive.. When Supriya first started her engagement with us, my commercial team had been on a transformation..
Supriya's effective leadership in change management comes from her passion in helping people realize.. I had the pleasure of working with Supriya on a Culture Change consulting engagement in the wake of..
Supriya is an outstanding speaker with deep expertise in her field. She always has engaging, thought..
Supriya's tremendous success with driving and sustaining results is unique and considers the.. In a word, Supriya is "remarkable"?.. I am an experienced change leader who has helped PwC, J&J, Marriott, Ritz Carlton, and RGP - among other world-class companies - more effectively achieve their visions by translating strategy into initiatives that incorporate best practice change management, organization development, leadership development and process improvement. My deep expertise in planning and implementing successful, inclusive and strategically-aligned programs was built through leadership roles in close to 20 large-scale change efforts from culture/values change to enterprise-wide Lean Six Sigma deployments. At AIG, I led a team that turned our global HR operating model transformation mandate into a compelling vision, a clear change roadmap with milestones, and a diverse workforce mobilized for action. Working with the CHRO, executive team and a cross-functional team at Solix, Inc., I used a best practice approach to develop a modern capability framework that enabled the company's new growth strategy. Engagements vary depending on the clients needs and include assessing, diagnosing, planning and/or executing the business' change management/transformation opportunity or problem and optimal solution. Desai Transformation offers pricing structures for advisory engagements based on project scope and target outcomes. For executive leadership coaching, Desai Transformation offers package pricing for 6-, 9- or 12-month engagements designed to strengthen change/transformation leadership skills and help senior level individuals breakthrough barriers to achieve goals and objectives related to navigating transitions. Please contact us for more detailed estimates of work involved and pricing. Rest assured we aim to offer a win-win approach to helping you address your business transformation and organizational change management challenges. In a word, Supriya is "remarkable"? Most impressive was her balance of technical competence with the ability to listen to the voice of the customer and then tailor to their specific situation and requirements. She has an uncanny ability to build rapport and earn the respect at all levels from the shop floor to the boardroom. Supriya's tremendous success with driving and sustaining results is unique and considers the realities that organizations need to constantly change due to dynamic market factors, new technologies, mergers, and performance requirements. Supriya has over the years developed a very powerful set of mechanisms and tools to drive continuous cultural, behavioral, and process changes that are required to stay ahead in the race. Her unique perspective, highly developed skills, integrity, courage, and dedication set her apart. She is simply better than best. 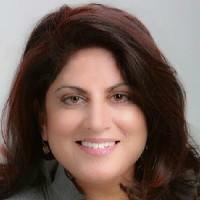 Supriya is an outstanding speaker with deep expertise in her field. She always has engaging, thought provoking topics that interest our community and her sessions have become ?standing room only. I had the pleasure of working with Supriya on a Culture Change consulting engagement in the wake of the announced "merger of equals" of two regional banks. Supriya acted as the main project manager and client liaison through strategic planning and discovery phases of the project. Despite a challenging client environment, due to merger related uncertainty, reorganizations, fear and resistance, Supriya's professionalism, teamwork and communication expertise helped to establish stakeholder alignment and identify key focus areas required to support the development of the desired end-state culture. I would gladly recommend Supriya and would be happy to work with her again. Supriya's effective leadership in change management comes from her passion in helping people realize change ? at an organizational, team and individual level. She has keen insight in recognizing the "people side" of organizational transformation, and is direct and skillful in executive and employee coaching. She also brings years of experience in project management, and was instrumental in guiding design process for a key initiative that had stalled. When Supriya first started her engagement with us, my commercial team had been on a transformation journey for over a year [revamping our business model]. We made great progress but just when we hit our stride, senior leadership announced a reorganization to create a line of business [model]. We had to integrate new teams and create a "one team" mentality to take the business forward. Supriya helped us identify the key goals and objectives for the new operating model and think through how we could build a culture of shared accountability within our new team make it all happen. Supriya helped us work through the issues we needed to address as a team, as well as how we needed to work together. Thanks to Supriya's help, I feel much more confident that our team is focused on the most important aspects of change management and that we are well equipped to deal with the challenges we know we will encounter along the way. Supriya is an excellent Change Leader who knows how to translate concepts into actions that drive meaningful change. She is a strategic thinker who is able to take seemingly disparate threads of information and link them together in a meaningful way. She is tenacious and passionate about doing what is right for the client. I recommend Supriya without hesitation. She is extremely knowledgeable, results-driven, and focused.